A quick tip, if you want cheap bulbs for the garden go to the Dutch gardening stall on Albert Square two days before the end of the markets as they do sell off their stock cheap. Last year I went on the last day of the Markets and they had sold out. My Dad’s garden has looked fabulous year on year courtesy of this stall with the fantastic array of tulips you can find here. Brazennose Street market is across the road from Albert Square and leads down to Deansgate and Spinningfields. There tends to be more craft and sweet stalls along here, but if you are looking for drink then there is a seated Bavarian Bar which helps to keep drinkers safely away from browsers. It’s definitely more civilised along here compared to Albert Square. There is a stall along here my friend loves as they do massive chocolate muffins which are covered in chocolate, mini rolls and chocolate based sweets. I’ve tried one of these and I don’t know how you can eat one in just one sitting and not be sick. Definitely one to share. Across the road from Brazennose Street is the start of the Spinningfields Markets. 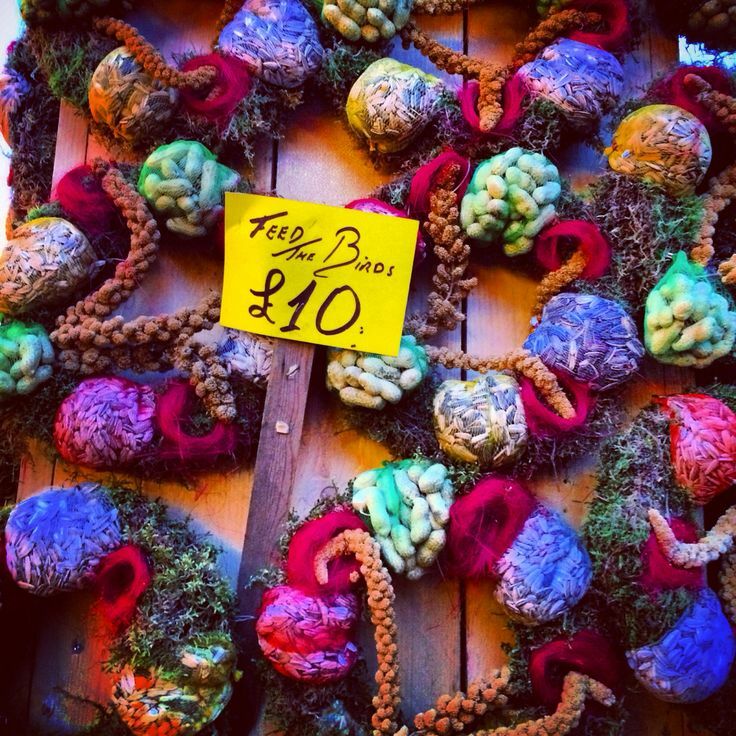 This isn’t part of the official Manchester Council Christmas Markets. You can tell this as, unlike the wooden stalls across most of the Christmas markets, they have normal mobile stalls. You have to give the stallholders credit for selling their goods exposed to the elements. These stalls tend to be artisan food from local producers, crafts and vintage. In the centre of Spinningfields there is an ice rink and on Friday it was packed. Personally there is no amount of mulled wine that would get me skating, but people seemed to be having a good time. I did like the look of the food stalls which tended to be more English BBQ in style and I did make a mental note to go back and try something. If you love Pringles crisps then your life would not be complete without visiting the Pringles Christmas Tree (made out of green and red Pringles tubes) and taking a selfie with it. Completely bizarre! My favourite market is the one along King Street. It’s a French themed market (but not entirely French) and quite frankly the best food you can find across all the markets. We always make an annual pilgrimage to the French food stall that does Provencal chicken and garlic potatoes. They do a vegetarian option too with garlic mushrooms, which is possibly one of the few savoury veggie fast food options available at the markets other than the garlic bread stall nearby. The crepe stall is good along here, but I think the ladies at the crepe stall are getting fed up of being asked for Nutella crepes. A friend mentioned they had the best mulled wine at the French bar along here. I have to say the French bar is definitely the most civilised of the bars at the markets. It’s not all about the mulled wine here. I love the French Soap stall along here opposite Hermes. The fine milled French soap is long lasting and smells great. 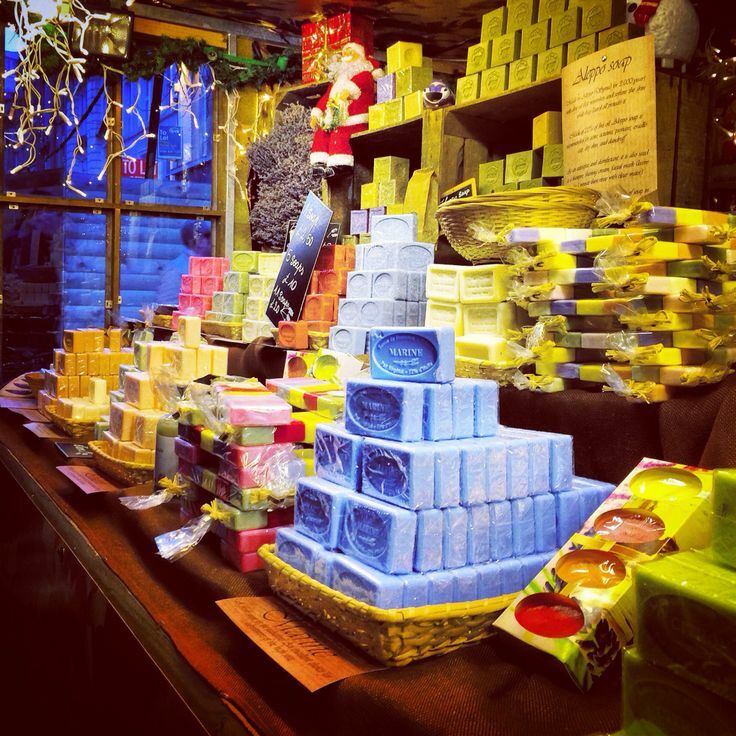 You can get 5 bars of soap for £10 here and each year I stock up on this soap. Definitely better value than Lush or Body Shop. St Ann’s Square is the second largest Christmas Market. It’s not as cramped as Albert Square and in the main part focuses on food, drink and traditional gifts. Small kids will be entertained with the singing Christmas tree, although the nativity scene opposite is very much overlooked these days. You could almost say it is emblematic of the commercialisation of Christmas. 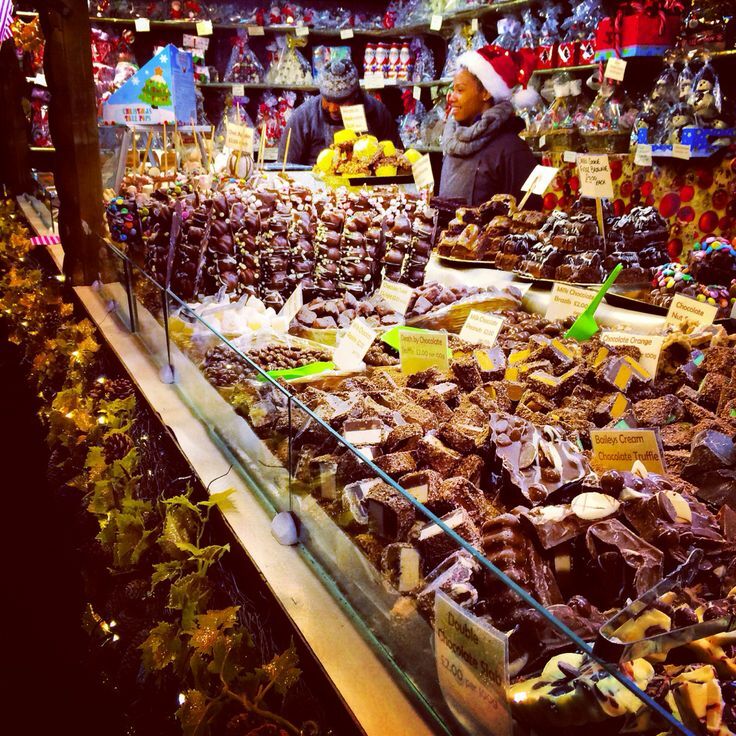 The food choices tend to be more interesting here with roasted chestnuts, chocolate covered fruit and massive marshmallow sweets. The mulled wine along here packs an added punch with the option of shots - the raspberry liquor is fab but lethal. The market moves seamlessly along to New Cathedral Street (between M&S and Harvey Nicks). It tends to focus on the arts and crafts. Definitely the place to pick up Christmas gifts for friends and family. There is a German style enclosed bar along here for people who want to be out of the cold, but it’s always packed. Most years, Exchange Square has always seems to be a calmer market option than most and the removal of the stupid big wheel to Piccadilly Gardens has been beneficial. However with the road works along Cross Street and the redevelopment of the Triangle means the market is much smaller this year. The stalls that lined the length of the seating area has gone, although the Dutch pancake stall is still there for those mini pancakes, which are far easier to eat than the French crepes. The Hog Roast is still knocking out pork sandwiches and mulled wine (very good) but on a smaller scale than last year. Mango Rays cocktail bar is going strong too, which is great fun and an alternative to mulled wine. Tampopo, whilst strictly not part of the Christmas Markets, have an open air street food restaurant next to the market, which is a welcome addition to the pork based food options available. Because of the works at Exchange Square, the markets have extended into Cathedral Gardens between URBIS and Cheetham’s School of Music. It’s a pretty good space which isn’t too crowded. I noticed some the stalls which can normally be found in Exchange Square have moved here. My only disappointment with the markets this year is the decision to have stalls along Market Street. I find Market Street hideously busy on the weekends without the addition of Christmas stalls. So I’ve purposely avoided them as I can’t deal with the crowds along here at the weekend. Hopefully it’s just a one off because of the road works along Cross Street. 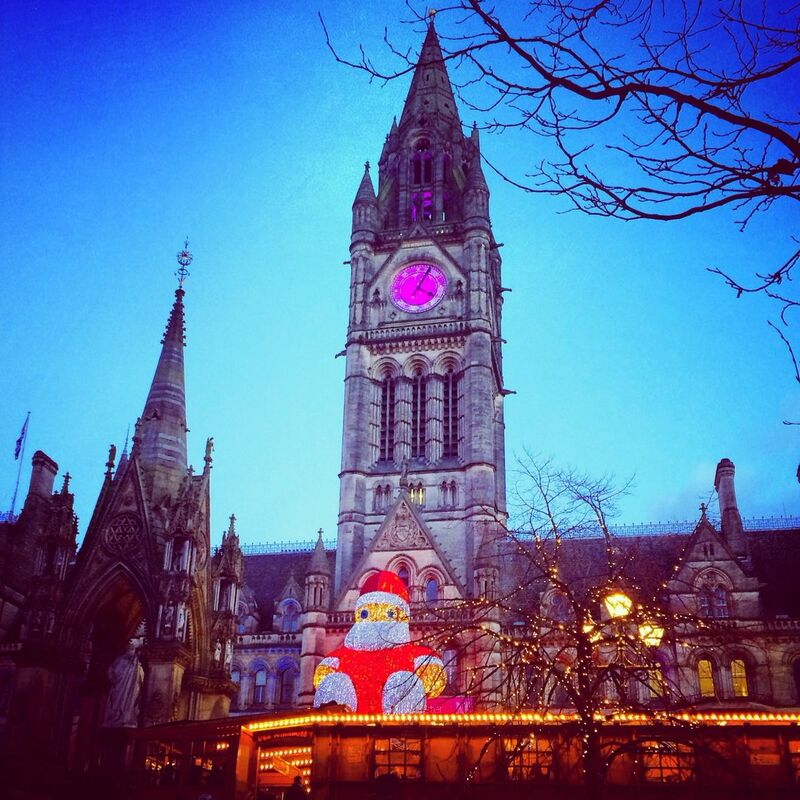 Manchester Christmas Markets are ace, but each year they grows bigger and bigger and busier and busier. Timing is everything when planning a good trip to the Markets. Weekends and Friday evening you basically take your sanity and patience into your own hands. Personally I would recommend taking an afternoon off work and explore the markets without being jostled and cursing drunk people. 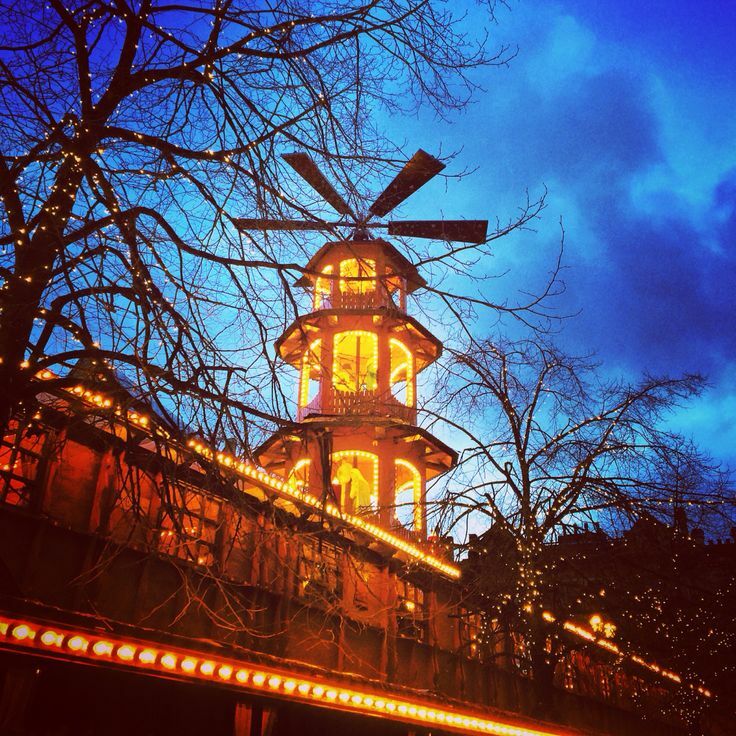 It is a much more pleasant Christmas shopping experience, especially with a mulled wine to keep you warm. These markets have evolved beyond their German origins and embrace the whole of Europe and beyond. It’s great to see local arts, crafts and food producers selling their wares too as it’s important to support local businesses at this time of year. I do think these Markets are a genius idea to keep the city centre alive, especially with competition from out-of-town shopping centres. For me these markets add that Christmas sparkle to Manchester and make the chore of Christmas shopping a much more pleasurable experience.